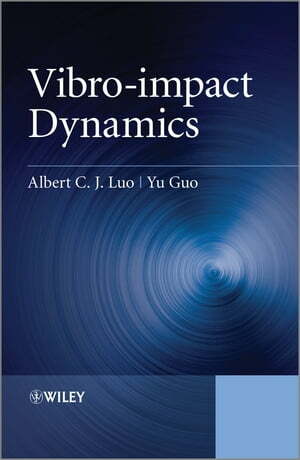 Collins Booksellers - Vibro-impact Dynamics by Albert C. J. Luo & Yu Guo, 9781118402900. Buy this book online. Comprehensive understanding of any vibro-impact system is critically impeded by the lack of analytical tools viable for properly characterizing grazing bifurcation. The authors establish vibro-impact dynamics as a subset of the theory of discontinuous systems, thus enabling all vibro-impact systems to be explored and characterized for applications. Essential reading for graduate students, university professors, researchers and scientists in mechanical engineering.